Bacon Readers Squeal Some More: Best Nonfiction AND Fiction 2015! I hope you’ll enjoy today’s intriguing selections from some of the most wonderful readers and writers I know. Here we go! From Dara Russell: What do you think of when you hear the name “Vanderbilt?” Vanderbilt University? The lavish Biltmore House? Your old Gloria Vanderbilt jeans? While being familiar with all of these things, I could not have told you how they were connected or the unbelievable history behind them until I read Fortune’s Children, the Fall of the House of Vanderbilt by Arthur T. Vanderbilt II. It is the fascinating story of how the family patriarch, “the Commodore,” built a vast family fortune that made him the world’s richest man in 1877 and how his descendants managed to dissipate that inheritance in just a few decades, leaving not a single Vanderbilt among the world’s richest today. Follow the young Commodore as he builds his fortune in shipping and railroads, as his children spend lavishly to be accepted by New York society, and the sad, lonely existence of one very famous Vanderbilt. The book is a cautionary tale…and I couldn’t put it down. From Carolyn Taylor: Sometimes, I do judge the book by its cover. With a crisp white background and photos of fresh flowers, colorful fruit, matching dogs, and a yoga pose, I had to have it. 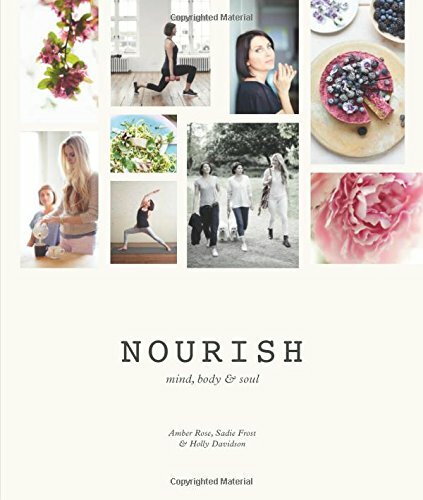 Nourish promised to lead me toward the healthy “mind, body and soul” lifestyle shared by its three beautiful authors, Amber, Sadie and Holly. I bought the book, and in the beginning I was all in, brewing up ginger tea, baking kale chips, and practicing Ujjayi breathing in the hookup line. It felt good, so I dug a little deeper, and landed on page 18’s recipe for fermented beet juice made with homemade whey. Amber drinks this twice a day. Wait, what? Then, Sadie suggested I walk around my house clapping, to break up the stagnant energy. I’m not sure I believe in stagnant energy, but even if I have it, my two dogs are taking care of that issue every time they bark at the squirrels outside. This is a beautiful book written by three lovely women full of inspirational recipes and ideas. I feel healthier just looking at it, and even better when I drink the ginger tea. Some of the advice, however, is best taken with a grain of (sea) salt. From Anne Rochford: My reading list took a surprising turn this spring when I found out that my husband and I were expecting our first baby. After announcing our news, new mama friends of mine were quick to send me their favorite pregnancy and parenting books. After spending the past eight months working through the stacks of these on my nightstand, I have three that I would share as gift suggestions for expecting friends and fellow readers. For the mama or dad that might be feeling like parenting will be daunting and overwhelming task, Happiest Baby on the Block seems to be one of the tried and true books by parents from the past decade. It allows me to think that, with Dr. Harvey’s help, I will be able to to easily soothe and calm a newborn and that we will all sleep peacefully through the night (I can hope can’t I?) without episodes of colic or crying. There are diagrams of Dr. Harvey’s “5 Ss” and the concepts can be quickly grasped even if you don’t have time to make it through the whole book. For the holistic and natural pregnant mama friend, I found The Mindful Mom to Be to be an easy and fun read without all the scary anxiety inducing panic that other monthly pregnancy guides can create. Written by Lori Bregman, a practicing doula, she emphasizes the importance that a healthy and balanced pregnancy builds the foundation for a healthy and balanced motherhood experience. I felt empowered and encouraged reading some of her spiritual, physical and and emotional exercises to prepare for labor and delivery as well as parenting. For the hopeful expecting moms who intend (to try) to find some balance between their child and their own life, I enjoyed reading Bringing up Bebe. I remember hearing about this book when it came out and aware that it had quite mixed reviews. I found this book fascinating to read and found the sleep chapter particularly interesting. I liked the balance that Pam Druckerman highlights in her French parenting observations, the idea that teaching a child patience is possible and eating a balanced meal in public with a toddler can be an enjoyable experience. From Michael Duncan: Wounded Tiger, by T. Martin Bennett, is an amazing true story of the attack on Pearl Harbor from the Japanese side with an American connection after the war. (Martin has also written a screenplay with plans to produce a major motion picture based on the book.) The lives of the Japanese pilots who led the air attack connected with two Americans after the war in a compelling story that displays faith and courage in an emotionally charged climate of hatred and distrust that occurred after hostilities with Japan ceased. The amazing part of this story is that it is true in a life affirming statement of universal values that transcend nations and cultures. From Ann Shayne: Disposable fashion. Sweatshops. Piecework. I just finished a book that you might think you’d never want to read, but there are a dozen reasons why it’s relevant to every one of us. Ready? The book is a 1970 book by Mary Wright. This slim book chronicles the history of a traditional sort of fisherman’s sweater, the guernsey. But it also reveals the rugged industry of the knitters of the 19th century who knitted constantly to generate a bit of cash while their husbands were at sea, fishing. Children were expected to knit as soon as they could hold the needles. Women worked in production knitting between their chores. As we struggle today with disposable fashion and the plight of garment workers in faraway lands, this book reminds us that fashion has long required hard work from people paid very little to do it. The photographs are completely haunting. From Sine Thieme: The best book I read this year: How Not to Be Wrong by Jordan Ellenberg. Here is an excerpt from my Goodreads review: “The reason it was so enjoyable: First, the subject matter. As promised, the book shows us how math touches everything we do, with a ton of real-world examples where one might not even suspect math played a role. We get to look at such varied topics as where on a fighter plane to put armor, the infamous Laffer curve and its various applications (such as charting “Swedishness” versus “Libertopia”), what stockbrokers have in common with the Bible, the tricky give and take between causation and correlation, the lottery and how to game it, the problem with voting systems, and even Florentine artists and the theory of modern perspective. There is nothing abstract about this book.” For the whole review, click here. · I’ll Drink to That, by Betty Halbreich – Halbreich created the personal shopping department at Bergdorf Goodman. Her life (now in her 80s) spans a unique slice of history and has intersected with numerous intriguing people. · Still Foolin Em, by Billy Crystal – Actor/comedian Crystal reflects on his life and time in show business. From a personal friendship with Muhammad Ali to a 1-at bat professional career with the NY Yankees, Crystal’s life encompass far more than When Harry Met Sally or City Slickers. From Kobie Pretorious: In the spirit of the holidays, it’s definitely worth it to re-read A Prayer for Owen Meany just to relive Owen’s appearance as baby Jesus in the Nativity production of the Episcopal Church, and again as the Ghost of Christmas Yet to Come in the performance of A Christmas Carol. If you don’t have time to read any thing else, just revisit this chapter. You will thank me later. 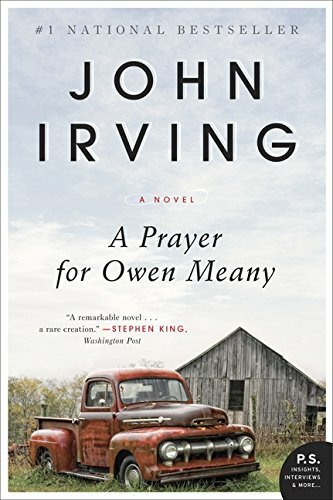 I also love the thoughtful ways in which John Irving makes you wrestle with the timeless motifs of friendship, war, and religion, with big and little miracles thrown into the mix. Perfect for the times we live in, and perfect for the holidays. From Don Winston: Let Me Tell You, by Shirley Jackson. When Shirley Jackson speaks, everyone should lean in. From the mind that shocked the world with “The Lottery” comes a collection of newly discovered and previously unpublished short stories, essays, and drawings. Razor-sharp insight, sly humor, and startling chills course through every page. Jackson was a literary titan of the twentieth century, and her college speeches about how she worked make this book a special treasure. Fifty years after her death, Shirley Jackson can still enthrall and unsettle; let her pull the rug out from under every reader on your list. From Adam Ross: Fans of Anthony Marra’s moving debut, A Constellation of Vital Phenomena, won’t be disappointed by his sophomore effort, The Tsar of Love and Techno. Really, it’s a companion piece to the novel, a series of interlinked stories set in Russia that begin during the Red Terror and end somewhere in deep space, in the near future. The political forces acting upon its players are communism, totalitarianism, and the Wild-West brand of cartel capitalism that filled the vacuum following the USSR’s collapse. Sounds heavy, sure, but as with his novel, Marra finds humor in tragedy, a heartbeat amidst so many merciless political and ideological forces. In her New York Times review, Sarah Lyall wrote, “Each story is a gem in itself. But the book is greater than its parts, an almost unbearably moving exploration of the importance of love, the pull of family, the uses and misuses of history, and the need to reclaim the past by understanding who you really are and what really happened.” I might not go that far in praising it, but it certainly confirms Marra’s debut was no fluke. And this reader learned a lot about Russia and Chechnya along the way. From Jessica Viner: My favorite read of 2015 was Celeste Ng’s Everything I Never Told You which Monica reviewed beautifully for you. I also enjoyed The Boston Girl, by Anita Diamant, a wonderful journey through the early 20th century through the eyes of Addie Baum. Addie’s voice and perspective looking back was an easy read, and the New England setting was a great distraction from Nashville’s summer heat. Euphoria, by Lilly King, sucked me deep into the heat and humidity of its environment and into the minds of its three protagonists. I couldn’t put it down. Based loosely on the life of Margaret Mead, this captivating love triangle in the beautifully lush and entangling Amazon called to mind Ann Patchett’s State of Wonder and made me think about our choices of work and companions. From Carrington Fox: Written 30 years apart on opposite sides of an ocean, Where’d You Go, Bernadette? and Brother of the More Famous Jack both capture something hilarious and heartbreaking about the lives of women. Maria Semple narrates Bernadette’s crisis in a Seattle-based life of 21st-century privilege and plenty. Bernadette has always been told she was brilliant, but now she is eclipsed by her Microsoft guru husband. Meanwhile, Barbara Trapido’s character Kath comes of age – from college student to mother – in England in the 1970s, with less entitlement and acclaim. No one has ever told Kath she is smart, so she is naively grateful to fall into the orbit of an aristocratic and erudite family. A generation apart, eccentric knitters Bernadette and Kath share a common thread of struggling to balance career and family among evolving expectations for women. The storytelling is delicious as they escape across Antarctica and Europe, respectively. Bernadette’s disdain for the striving moms in the middle school carpool is infectious; Kath’s descriptions of wine-soaked weekends among the hollyhocks are intoxicating. The worlds these characters inhabit could not be more different, but their journeys underscore the struggle for identity shared by so many wives and mothers. 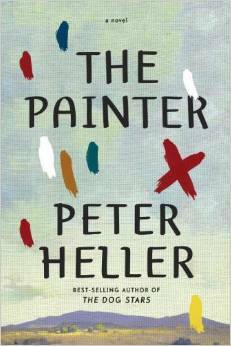 From Deb Rankin: I’d like to recommend The Painter by Peter Heller as the best book I’ve read this year. It’s a good book for a dedicated reader who wants something a bit heart-pounding or escapist to read during the holidays and long winter. It helped me fantasize about the clear blue skies, wide open spaces and dynamic art scene of Sante Fe and Taos, and fight vicarious battles against the bad guys in my life! From Karlen Garrard: For fans of Silver Linings Playbook, Matthew Quick delivers another heartwarming story, rife with quirky, yet lovable characters. In The Good Luck of Right Now, the protagonist, Bartholomew, is a middle-aged, dysfunctional loner, struggling to adapt in the wake of his mother’s death. The novel’s clever narrative is told through a series of letters Bartholomew writes to Richard Gere (yes, that Richard Gere), through which we get a Forrest Gump-like dose of humanity, humor and truth. Despite its outrageous ending, and rather cutesy quality, this book made me laugh, cry and think deeply. From Linda Wei: Jim Henson’s Tale of Sand. My husband has a great love for graphic novels (Chew, The Walking Dead and Wytches). This year I followed my husband’s example and read graphic novels inspired by the work of Jim Henson (let’s just say I’m a fan). Yes, there are Muppet graphic novels as well as Fraggle Rock, Labyrinth and Dark Crystal but I particularly love this lesser known title, A Tale of Sand. It’s a beautiful adaptation of a screenplay Henson wrote with Jerry Juhl. There are few words but it’s a visual playground. Most of all I love that we’re still discovering and experiencing new stories from this creative mind. From Connie Johnson: Invention of Wings: Historical fiction about a slave and her life. Tells the story of some lesser known suffragettes and the suppression of women in the early 1800s. Very engaging and well written, I would buy this for someone who appreciates good writing, history, and a story that doesn’t go as you think it will. 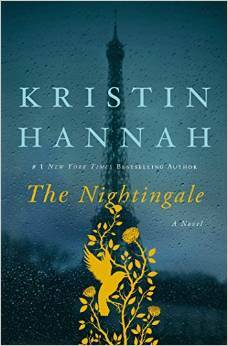 From Lee Pratt: I have to say that the book I had the most fun with was The Nightingale, by Kristin Hannah. It chronicled the lives of two sisters in German occupied France during World War ll. One, a single mother whose husband had gone to the front and whose main focus was to protect her young daughter, and the the other whose fiery passions compelled her to join the resistance. The way history unfolded and their lives intertwined made me feel like I’d almost been there. All the Light We Cannot See by Anthony Doerr was second only because I felt such a connection with the women in The Nightingale and the difficult choices they were forced to make. One more thing: There is a show (on Netflix) called Foyle’s War about DCI Christopher Foyle who solves murders in the British countryside at the onset of the war. The life of the people in the small villages on the coast of England is documented in the background in great detail and is fascinating! Nazi sympathizers, black marketeers, rescuing soldiers from the shores of Dunkirk, secret societies. I am addicted. 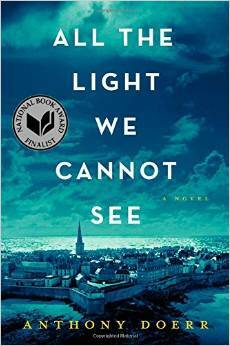 From Paul Vasterling: My absolute favorite of this year is All the Light We Cannot See. I was completely taken by it and read it in a whoosh. It’s one of those novels that feels like it really happened, World War II history interwoven with an incredibly romantic duo of stories that illustrate different perspectives of real events. I just loved it! From Niki Coffman: FISHBOWL FOREVER! 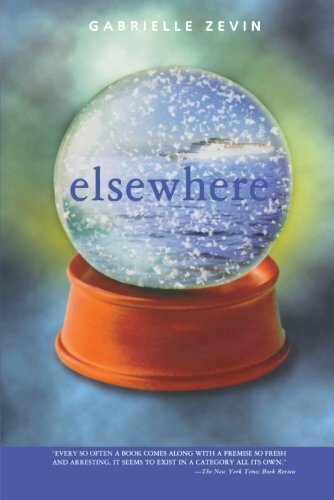 From Patricia Eastwood: Elsewhere by Gabrielle Zevin for the teen girl in your life – great imaginative story and not dystopian, no dysfunctional families and the parents are not portrayed as idiots. My senior recently listed it among her top five favorite books as she tried to narrow down to her favorite book for an application. From Sara Light: My favorite book of the year is The Fill-In Boyfriend by Kassie West because it is the first one to make my bright, sporty, but not-so-bookish 7th grade daughter say, “Sorry, I’m not going to watch Gilmore Girls tonight cause I want to finish this book.” (This was a particularly big deal because we’d been serial-watching Gilmore Girls on Netflix for a couple months and were closing in on the last season.) It’s a YA romance novel about finding out who you really are and is the one all the middle school girls have been passing around this year. My daughter proceeded to buy West’s other two books in the series with her own birthday money and was equally absorbed in each one. If you have an 11-14 year old girl to buy a gift for I’d recommend it. Tomorrow’s post features an all-YA lineup! Please stop in! What a tasty array of reviews and books! I so look forward to Bacon in my inbox. Thank you, Jennifer, for continuing this beautiful project. Great recommendations, I so enjoyed reading these, some of them books I’d also read and loved, and some of them completely new. Thank you!